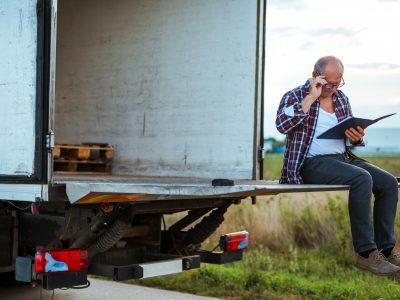 Have you ever experienced a situation when somebody decided not to “let out” your drivers after unloading? Yesterday, I described one such case, an assignment from a Hungarian forwarder to transport watermelons from Hungary to Poland. Today, I’ll present the second case. Both of these situations ended with a police intervention, and then with the case in court which we won. Both of these situations took place in Poland when unloading the goods in the supermarkets’ warehouses, where an uneducated manager without any knowledge of the law is a God. The second time when I had to deal with I transported goods from Italy to the warehouse of the supermarket network – let’s call it Z – in Silesia, in the city G. Mr Warehouse Manager – a creature who confined two drivers in the company’s premises and did not allow them to use the toilet – demanded that the drivers unload the truck themselves (because, of course, he had it in his contract). Politely, yet firmly, we refused. We did not have such a provision in our contract. After unloading, it turned out that one of the pallets with nectarines was slightly distorted. It was hard to say if one of the cardboard boxes was torn during transport or due to overload on the forklift truck of the company Z. So, Mr Warehouse Manager demanded that the drivers “rearrange” this pallet, that means dismantle it and assemble it again to make it even. We refused because the products were not damaged during transportation: with 33 pallets in a refrigerated trailer there was no room which would make it possible to distort the pallet. Besides, Mr Warehouse Manager’s workers could rearrange the boxes as many times as he wanted. The goods were unloaded, the truck got off the ramp. If he wanted to, he could indicate in the CMR that one pallet was distorted – this is his right (just in case, a competent expert was on his way), but, other than that, he was obliged to return our documents because we were leaving. Obviously, Mr Warehouse Manager was not delighted with this answer at all. He said that, in his opinion, the pallet was damaged, so he refused to accept the whole load, that is 33 pallets (!?). He demanded that we park at the ramp again, so that he could load all the goods to our refrigerated truck because (it sounds familiar, doesn’t it) he had a contract with his business partner that guaranteed that we had to take the products back on his whim. Otherwise, he did not want to sign a pass, and without it the guards would not let the truck out. Of course, our explanations that we did not have anything like this in our contract and that one distorted pallet could not justify rejecting the whole transport did not work. We checked it: the guards really did not release the truck and even the drivers on foot without a stamp and signature of Mr Warehouse Manager. So, the story repeated with only one variation: because Mr Warehouse Manager had the power to do so, he instructed the guards to deny my drivers the access to the toilet. How to treat someone like this seriously? What kind of person refuses drivers to use the toilet? This time, the police came without any fireworks. What is more, one of the police officers, after talking with Mr Warehouse Manager, said that Mr Warehouse Manager “was probably right”. We asked them to show their badges and official numbers and advised them to consult a lawyer. They called the one from the Provincial Police Headquarters. He explained to them that they were wrong, that Mr Warehouse Manager had no right to confine a vehicle and two people in the premises of the company. Because the policemen changed their minds, after a long argument, Mr Warehouse Manager signed the pass. He also returned the documents and indicated in the CMR note that not one but a few pallets were allegedly damaged. The expert checked the goods in the presence of the warehouseman, the drivers and myself. The verification revealed that out of 22,000 kg of nectarines, only 3 (say: three!) pieces were damaged. The rest was in perfect condition, and these 3 pieces also may have been squeezed during loading. At the end of the day, the case was brought to court because, despite an undisputable fact that only less than 1 kg out of 22,000 kg of nectarines delivered to the Company Z was damaged, the forwarder wanted us to pay about 2,330 euros. 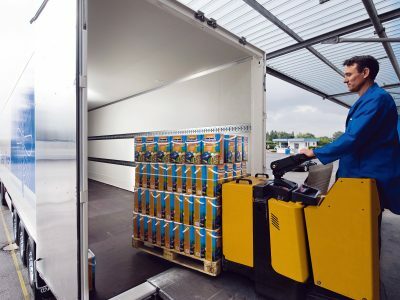 The problem is that those managing warehouses in big commercial networks do not know basic legal provisions, but also that we – the carriers – have taught unloaders that they can treat us this way. Honestly, how many times in such a situation you said to your driver: “They are wrong, but unload it anyway because otherwise, you will stay there for God knows how long?” This is a mistake. The problem is caused by the fact that big supermarkets and commercial networks very often when buying products, sign contracts in which they impose the obligation to unload the goods in the warehouse on the seller (supplier). They negotiate from a position of strength: if you want to supply fruit to our nation-wide supermarket network, you must sign the contract in which you agree that the supplier is responsible for unloading the goods in the warehouse. On top of that, as in the two cases described above, such contracts very often contain additional provisions guaranteeing that the buyer can refuse to accept the products for practically any reason, and the supplier has to immediately take the products from the place of unloading. Attempt to force the carrier to take the goods back after unloading – when is transport completed? Unfortunately, the CMR Convention does not contain a clear definition of “delivery of goods”. It can be assumed that the effective delivery takes place in the moment when the recipient is able to physically dispose of the goods. It can be argued if the goods are delivered when the refrigerated trailer is ready for unloading, i.e. 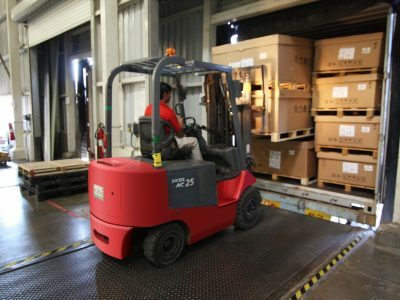 opened and parked at the ramp of the warehouse which cannot be accessed by the drivers, or when the unloading is completed by the worker of the recipient. However, in this case the matter is quite simple. – Such a situation does not cause any doubts: all the premises are fulfilled, the goods are not in custody of the driver (the carrier); it is not even feasible. So, undeniably, the goods have been delivered to the recipient. However, some people claim that delivery takes place much earlier: when it is possible for the recipient to dispose of the goods and when he is ready to do that (in our example it would be in the moment of parking the vehicle at the ramp). When the goods are effectively delivered (to the appropriate recipient) the carrier’s responsibility ceases! The transport is completed, and if there is anything wrong with the goods, the recipient has a right to enter any reservations in the CMR consignment note. However, the recipient – and here we have to go back to our Mr Warehouse Manager – may not request that the truck return to the ramp and “take over” the goods because Mr Warehouse Manager does not accept them. Unfortunately, it is too late! What to do in such a situation? First of all, if the goods were taken to the warehouse, the carrier cannot be sure if the same products will be loaded on his truck. Especially when it comes to refrigerated transport because fruit and vegetables do not have characteristics (serial numbers) which will allow the driver to identify them. If the recipient wanted to return the goods due to a damage (e.g. pallets got distorted, packages got squeezed), you also cannot be sure if the damage was not caused during the unloading. When the goods are effectively delivered, the carriers’ duties and responsibility cease. To cut the long story short, you do not have to and you should not load the goods back to your truck because the transport service you have agreed to provide is completed. 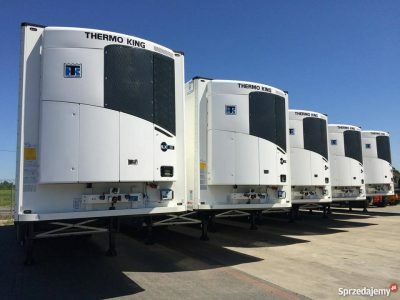 How to buy a used refrigerated semi-trailer and not get cheated? Load securing principles – check your straps!